Don’t let your batteries stall your cleaning. 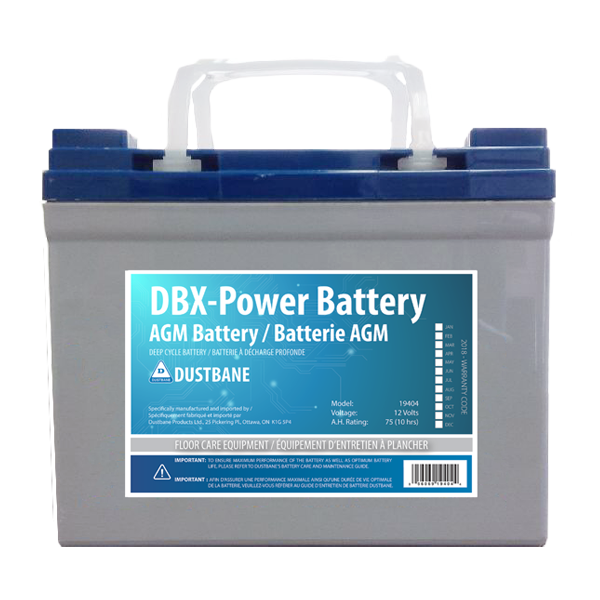 The new AGM batteries are designed as a long-lasting, durable, reliable and safer battery solution. Known for their enhanced electrical reliability, they offer an even lower internal resistance and greater plate area, which provides the ability for the batteries to recharge much faster. ONE (1) YEAR OR UP TO 600 CYCLES AT 80% DEPTH OF DISCHARGE warranty on equipment battery under normal use and care following the recommended charging procedures and proper storage methods.